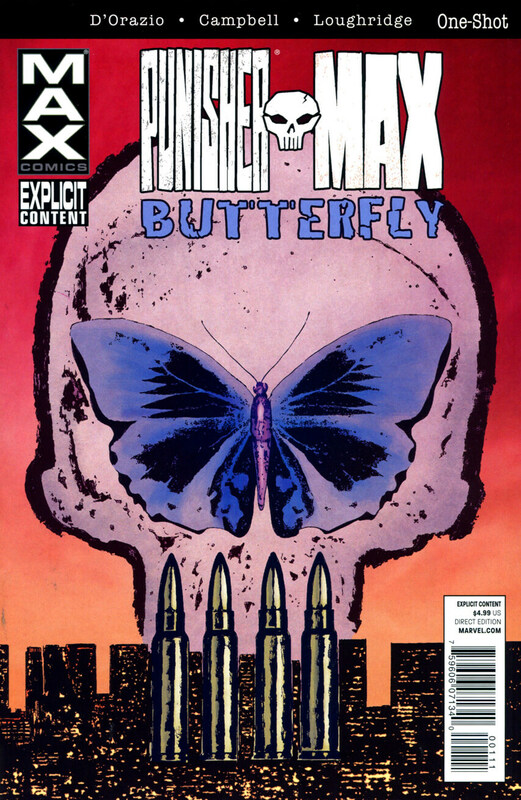 A lurid tell-all book leads the Punisher on the trail of a hitwoman marked for death. Who is Butterfly? And will the Punisher be her salvation, her temptation, or her damnation? Author Valerie D’Orazio and artist Laurence Campbell unload a full barrage of mayhem in this blood-soaked one-shot.